This limited-edition glossy lip oil from the Light, Reinvented Collection isn’t just stunning – it’s moisturizing! Our new innovative lip oil provides a comfortable application with a non-sticky, luminous shine. Don’t wait to let this multitalented lip treat quench, smooth and colorize spring-ready lips. Shades range from sheer to pigmented. Color wears evenly and does not bleed. 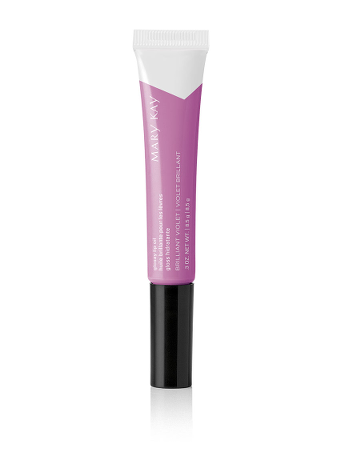 The NEW limited-edition† Mary Kay® Glossy Lip Oil is part of the Light, Reinvented Collection from Mary Kay. Infused with grapeseed oil, this glossy lip oil conditions lips by quenching them with moisture. In shades that range from sheer to pigmented, these glossy lip products deliver colour and shine while doubling as a moisturizer. †Offer available through participating Independent Beauty Consultants only. Limited quantities available while supplies last. Directions: Apply directly to lips using the soft-tip applicator.